There is no location, industry, or organization that is safe from compromising sensitive information. Whether you have customer lists, price lists, and sales statistics that would interest a competitor, or personal information that could be traced to a patient or client, small and large businesses, institutions, and many independent professionals have information that must remain confidential. Without the proper safeguards, information often ends up in garbage bins where it is readily available to anyone. This information is especially useful to competitors because it contains the details of current activities. Discarded daily records include phone messages, memos, misprinted forms, drafts of bids, and drafts of correspondence. All businesses suffer potential exposure due to the need to discard these business records. The only means of minimizing this exposure is to make sure information is securely collected and destroyed. Scotia Security Shredding is able to perform secure document disposal on all your sensitive documents. This will help you or your company safely dispose of sensitive material, while freeing up employees to focus on more valuable tasks! What is the Benefit of Regular Secure Document Disposal? By destroying records according to a set schedule, a company limits potential security risks, eliminates liability concerns, and ensures that company information remains secret. The period of time that confidential records are stored should be determined by a retention schedule that takes into consideration their useful value to the business, institution, or individual and the governing legal requirements. No record should be kept longer than this retention period. By not adhering to a program of routinely destroying stored records, a company exhibits suspicious disposal practices that could be negatively construed in the event of litigation or audit. The PIPEDA Act also now mandates proper and secure document disposal. From a risk management perspective, the only acceptable method of discarding stored records is to destroy them by a method that ensures the information is obliterated. Documenting the exact date that a record is destroyed is a prudent and recommended legal precaution. Why Should You Outsource Your File Shredding Services? Employees selectively decide what to shred and what not to shred, which could lead to the potential loss of information. Everything is shredded – preventing the loss of any information to the trash. Documents are stored in boxes under desks and are often unsecured. Documents are stored in a free lockable shred bin. Employees perform shredding activities and get distracted from job duties. This degrades morale and productivity. All hauling and shredding tasks are performed by our bonded technicians. This allows your staff to focus on what matters. Employees without a "need to know" privilege may have access to confidential material about the organization, clients or other employees. Secure shred bins protect information from outsiders and unauthorized employees. Sensitive materials remain safe and secure until shredded. Requires purchasing and installing a high-volume industrial shredder (a commercial grade shredder costs between $1,200 and $10,000). Don't forget about reordering supplies and performing monthly maintenance! Scotia Security Shredding provides and maintains state-of-the-art industrial shredders, so you don't have to. Never worry about ordering supplies, broken equipment, expensive repairs or utility costs again! Requires disposal of messy shredded output, dealing with paper dust issues, and hauling heavy bags. Scotia Security Shredding destroys and removes all material, keeping your office clean and tidy. The shredded paper is thrown away.  Scotia Security Shredding recycles all shredded output. You are unsure if it is done properly and securely. The proof is in the Certificate of Destruction – you have peace of mind knowing that everything is taken care of. It is also important to note that many commercial storage firms lack the equipment necessary to provide a shredding service, and therefore subcontract it out. As the owner responsible for the security of your company's information, you should select the vendor. Every company that has confidential information pertaining to customers, clients, patients, or suppliers is under obligation by law to ensure that any personal information is protected. This information can be as simple as a name or telephone number, or as detailed as pertinent financial, contractual, medical, legal, or employment records. Regardless, by law all companies are mandated to destroy this information. Choosing not to do so increases potential liability to the holder of this information. So, who should use file shredding services? Large, medium, and small businesses, independent professionals, and government organizations and institutions, including municipalities, school boards, hospitals, and universities looking to protect the privacy of their organization, their clients, and their customers.